KEEP shares the concerns of everyone in the Thoroughbred industry over the recent unprecedented loss of horses in our sport. KEEP is committed to supporting initiatives to strengthen and improve the positive health and welfare of the Thoroughbred athlete as well as Jockeys. KEEP strongly supports the coalition of racetracks banning the use of Lasix in two year old races beginning in 2020 and all stakes races beginning in 2021. KEEP encourages all industry stakeholders: trainers, veterinarians, owners, and other racetracks, as well as all industry participants, to support this national compact. KEEP also calls on the industry to enact national guidelines for medication testing and laboratory standards, to perform extensive and strict pre-race evaluations of all participants to ensure their wellbeing, to require mandatory reporting of breakdowns and injuries and to apply all technology and proven materials to provide the safest facilities and racing surfaces available in the world today. These policy changes, combined with increased accountability, transparency and collaboration across the industry, will ensure a safer, trusted and more successful sport. Note: While these views reflect the consensus of KEEP, they do not necessarily represent the specific views of individual KEEP members. KEEP works to strengthen the horse economy in Kentucky through our statewide network of citizen advocates. To learn more about how you can become a member or support our work, please visit www.horseswork.com. 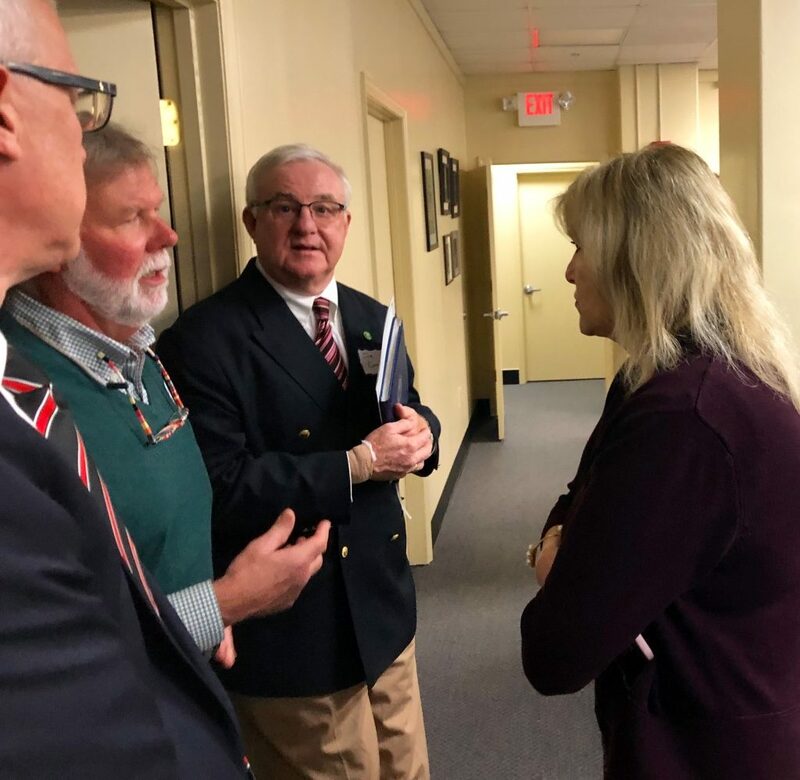 Lexington, Ky. (Friday, February 15, 2019) – The Kentucky Equine Education Project (KEEP), Kentucky’s equine economic advocate, held its third annual KEEP Day in Frankfort on February 12, 2019. 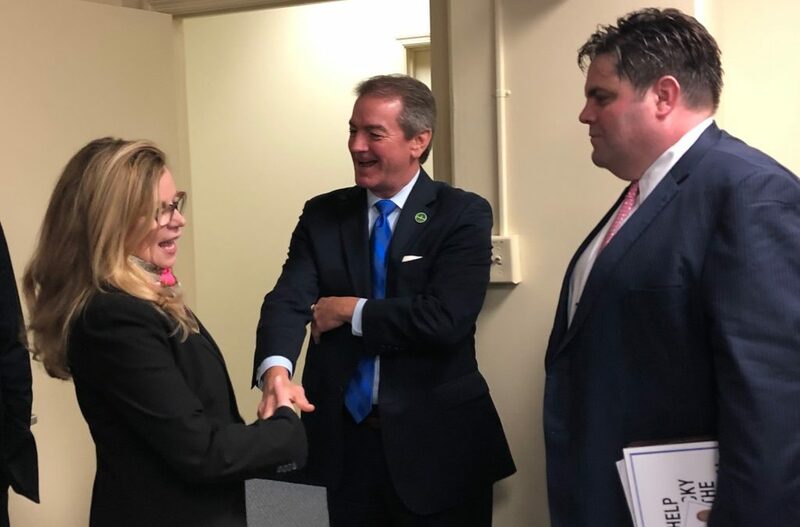 The event brought together diverse representatives of the horse industry to meet with legislators to discuss the importance of the $3.4 billion industry to the Commonwealth and its economy. 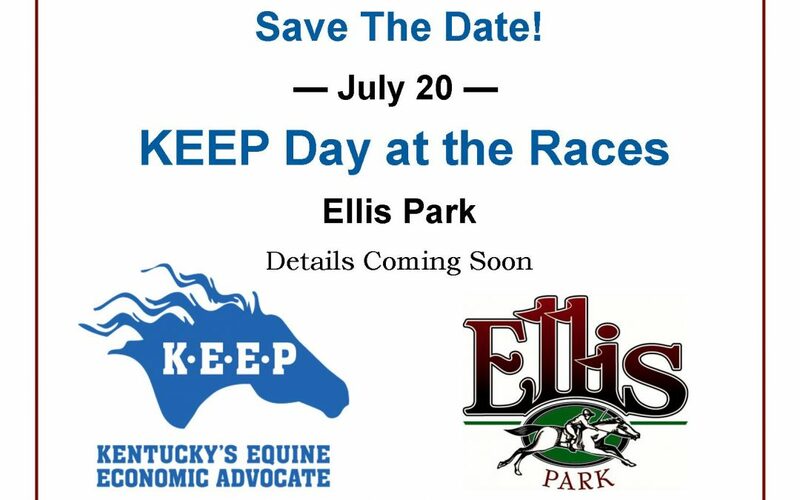 Attending KEEP Day were executives from thoroughbred racetracks and sport horse organizations, leaders of industry organizations, administrators and students from the equine academic field, owners of small horse operations and more. These industry representatives met with legislators ranging from the newly elected to House and Senate leadership. 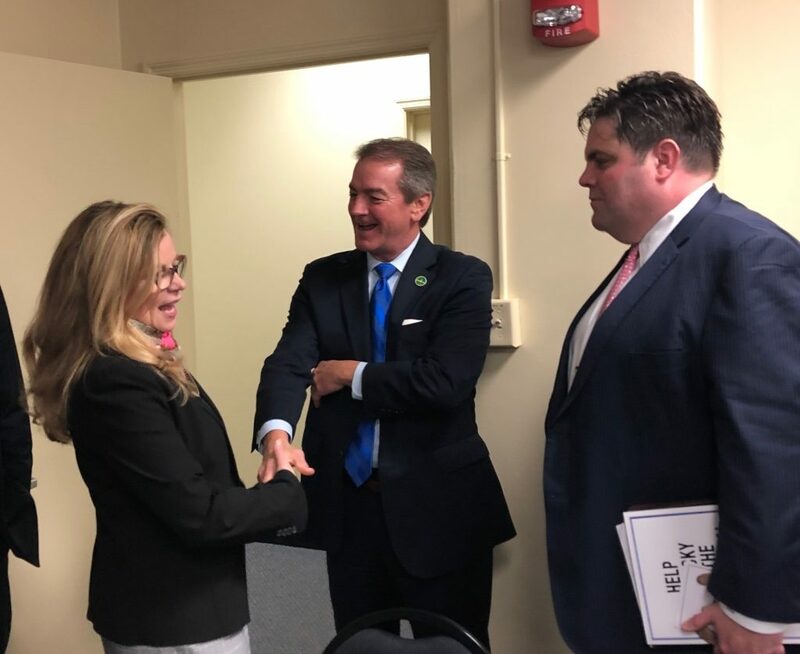 Topics of discussion during KEEP Day included sports wagering and the industry’s support for House Bill 175, introduced by Representative Adam Koenig, which would make it legal in Kentucky. 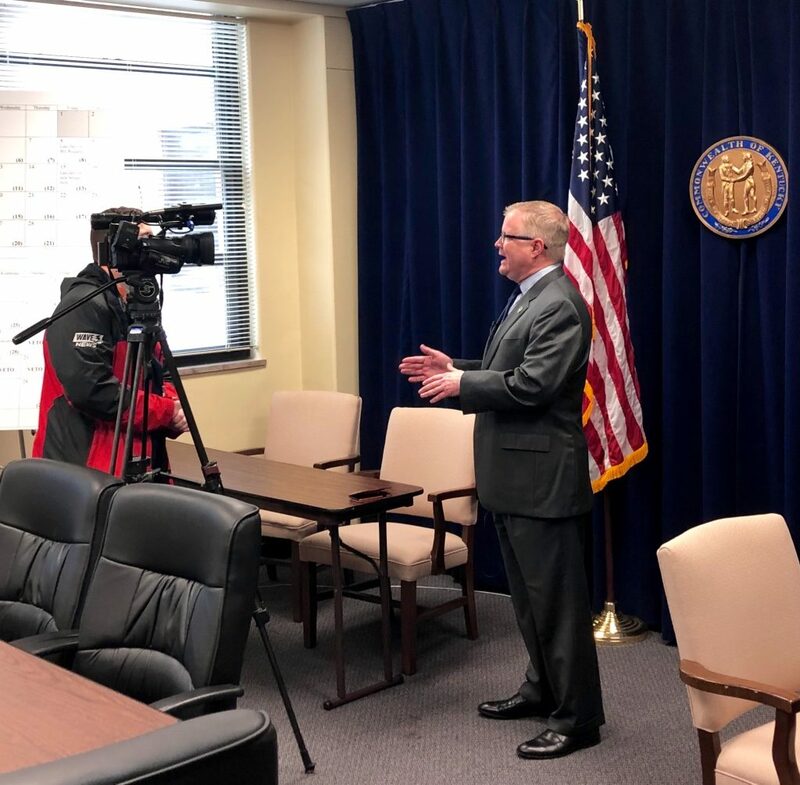 Representatives of university equine programs from across the state discussed Senate Bill 81, introduced by Senate Majority Floor Leader Damon Thayer, which would provide funding to equine programs at public institutions. Recently introduced bills on equine cruelty were also a subject of conversation between industry stakeholders and lawmakers. 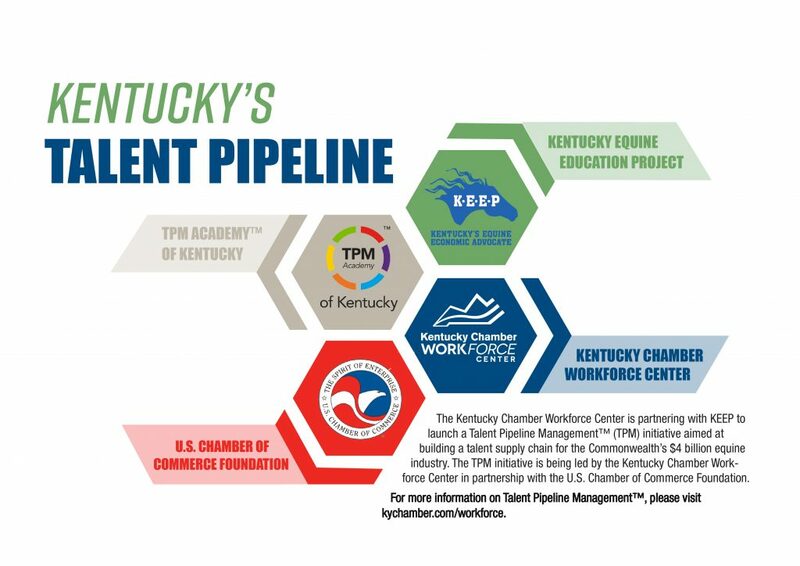 The Kentucky Equine Education Project, Kentucky’s equine economic advocate, is a not-for-profit grassroots organization created in 2004 to preserve, promote and protect Kentucky’s signature multi-breed horse industry. KEEP is committed to ensuring Kentucky remains the horse capital of the world, including educating Kentuckians and elected officials of the importance of the horse industry to the state. KEEP was the driving force in the establishment of the Kentucky Breeders Incentive Fund, which has paid out more than $177 million to Kentucky breeders since its inception in 2006, and pari-mutuel wagering on historical horse racing, which has been responsible for more than $40 million to purses and more than $24 million to the Kentucky Thoroughbred Development Fund. 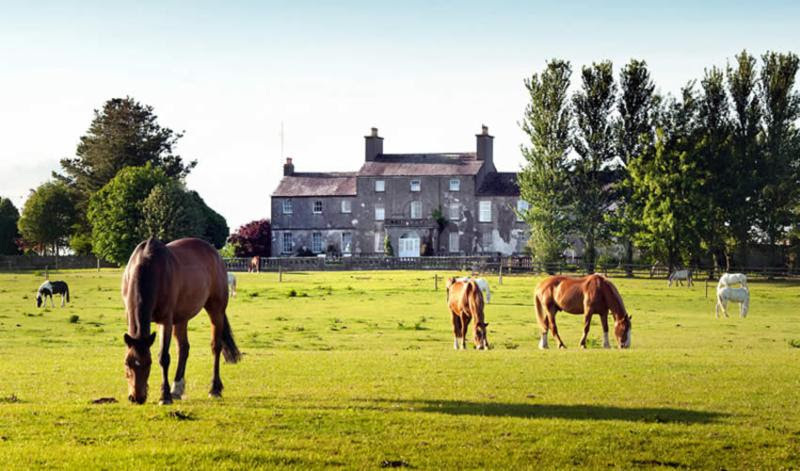 KEEP members and their guests are invited to join KEEP for an equine focused tour of Ireland in June, 2019. For more details on the itinerary, costs and more, click here. 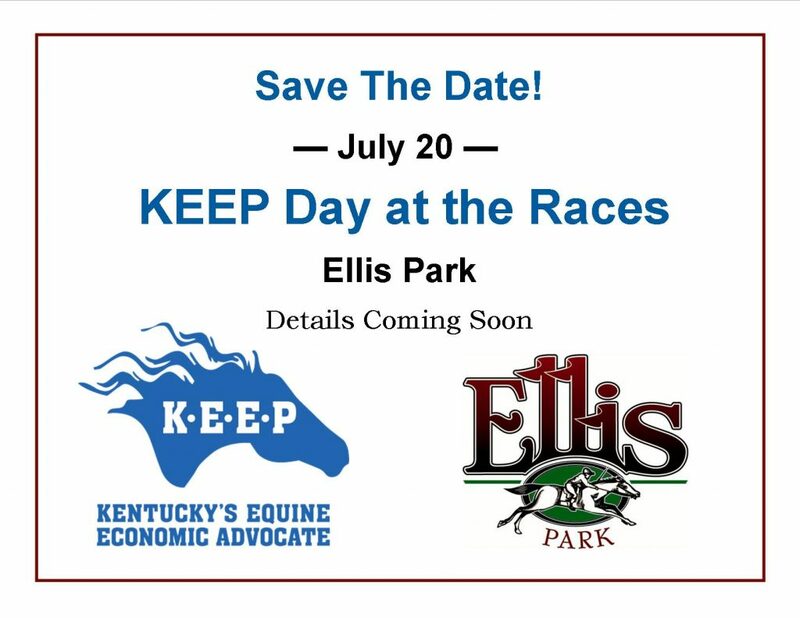 Lexington, Ky. (Wednesday, September 5, 2018) – Today, the Kentucky Equine Education Project (KEEP), Kentucky’s equine economic advocate, released a white paper outlining KEEP’s position on legal sports wagering in Kentucky. The white paper details what will be critical to allow for a successful implementation of sports wagering in Kentucky, following the Supreme Court of the United States’ ruling in May that struck down the previous law that limited sports wagering to just a few states. Join KEEP at famed Taylor Made Farm on May 30 for the first Equine Summit Luncheon Series. The luncheon topic will be The Dollars & Cents of Standing Stallions. Learn more about this event and register here. KEEP and Race For Education have partnered to provide scholarships in 2018. Several of the scholarships have deadlines approaching. See available scholarships here.